Qatar Airways’ operations to and from its Doha hub are “running smoothly,” according to the carrier, with the vast majority of flights operating as scheduled. The news comes as the political situation in the region continues to deteriorate. The carrier has been forced to suspend all flights to the Kingdom of Saudi Arabia, UAE, Kingdom of Bahrain and Egypt until further notice, following the cutting of diplomatic ties between Qatar and its regional rivals. 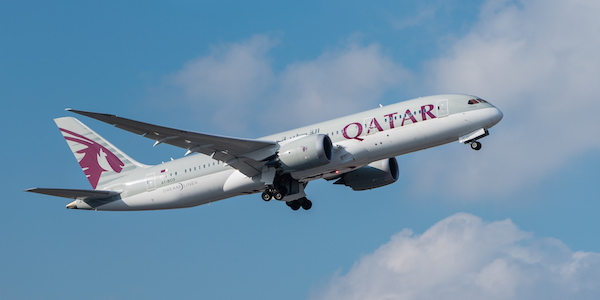 However, in an attempt to reassure passengers, Qatar Airways said it has flown approximately 1,200 flights between Doha and its network of more than 150 destinations around the globe over the past week. Some 90 per cent of those flights departed within 15 minutes of their scheduled departure time. Qatar Airways Group chief executive Akbar Al Baker said: “This blockade is unprecedented, and it is in direct contradiction to the convention that guarantees rights to civil over flight. “We call upon the International Civil Aviation Organisation to declare this an illegal act. Qatar Airways is currently prohibited from flying through airspace controlled by Egypt, Saudi Arabia and others. In light of the blockade, the airline has significantly increased the operations of its global call centre and social media to ensure concerned customers receive the best possible care. The airline has also introduced new functionality on Facebook to provide customers with flexible call-back options.